These birds are so fun. They used to free range our yard and run as a group. I added crested fawn and white runners to our flock in the summer of 2012. We also added blue, black splash. 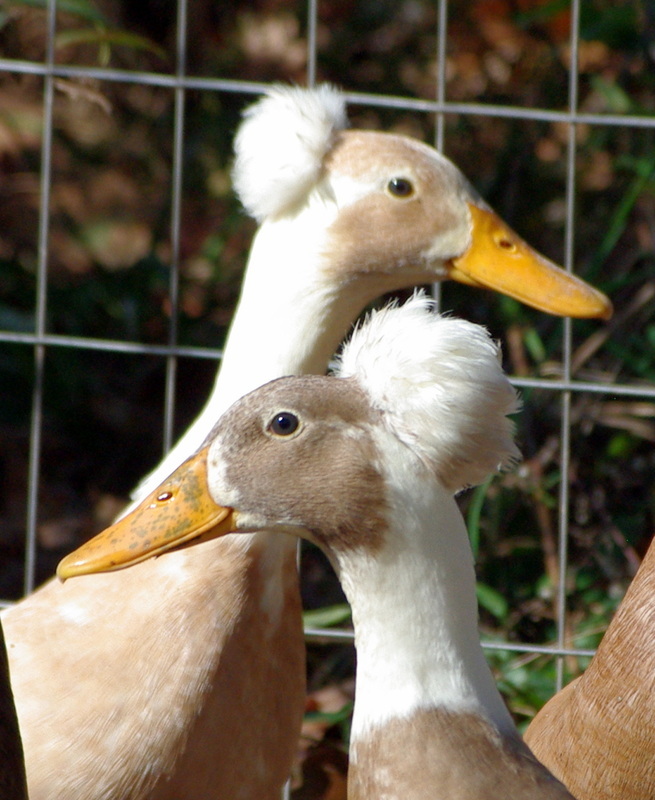 The hope was to breed the two and get blue crested ducks. 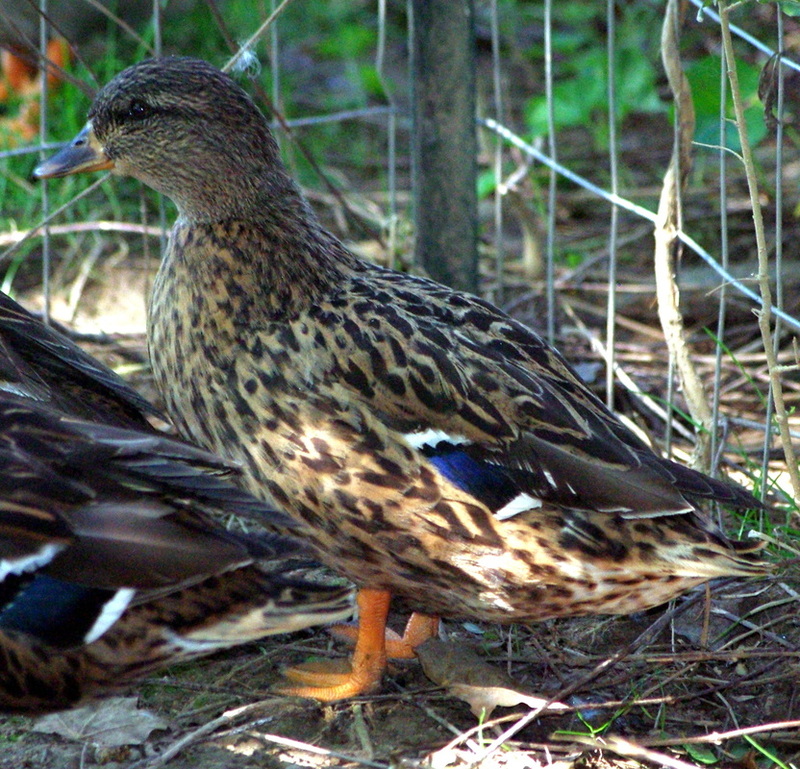 The fawn and whites were purchased from Ideal Poultry, and I have to say you can tell the difference between them and the ducks from a breeder (the BBS). 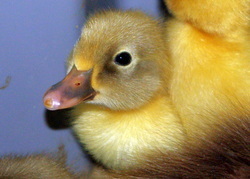 The breeder ducks stand taller and have the appropriate streamline shape. As you can see in the picture at the top of the page, I had a lot of different colors and shapes of runners. I decided I needed to breed what I wanted, which is blue, black splash (BBS) carrying the crested gene. In order to do this I got eggs from a breeder that carried BBS runners. Then I ordered crested fawn and whites from Ideal. Then a predator killed most of my flock. Its sad, but I believe the Runner project is at an end for now. 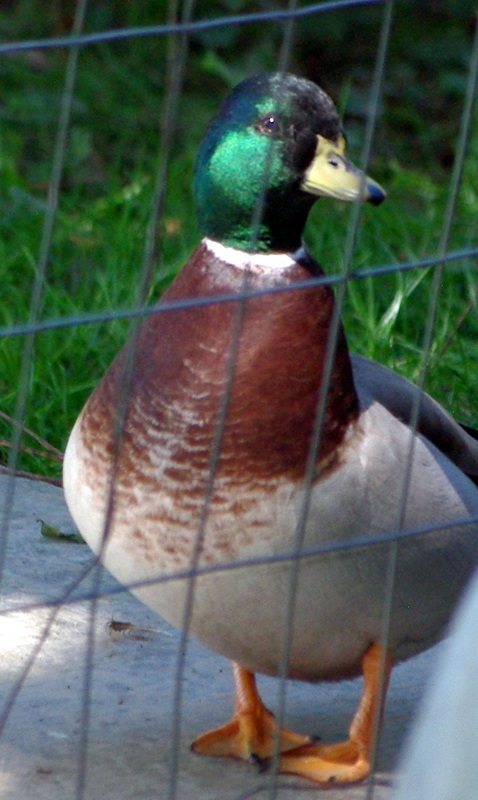 As noted above, we replaced them with call ducks. Since the calls are able to fly, we're hoping they will be better equipped to escape if needed, but that didn't help with the hawks.